In the shadow of the Three Sisters at Glencoe, May 2007. 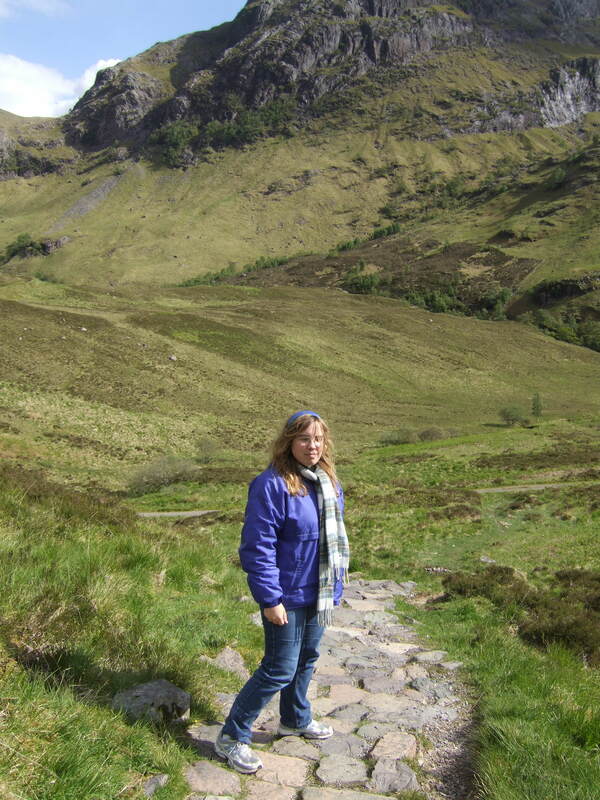 Since everyone’s been talking nonstop about the ongoing Scottish independence referendum tonight, I thought I’d share a short posting from the first time the clan and I visited Scotland several years ago. It was in the spring of 2007 – I’d just finished up my junior year at CNU. For this trip, we’d flown into London, stayed there for a few days and then taken the train up to Edinburgh. Our stay in Scotland included a day of jaunting around the highlands – yes, including up to Loch Ness (didn’t see Nessie). Out in the western highlands, around about Fort William, we passed near one of the trailheads of the West Highland Way – which I proceeded to put on my “to-do” list for another visit, and came by the Three Sisters at Glencoe. Anyone who’s ever been to Scotland will know just how gorgeous the country is – heck, scenery-wise, all of the British Isles look pretty nice. Climate-wise, the Scottish highlands are similar to Anchorage and southern Alaska (in fact, there’s a couple of Yukon White Birch in the Royal Botanic Gardens in Edinburgh). The weather cooperated nicely while we were there – and the air was really crisp and clean. Bit of a sad story behind the Three Sisters. This was where the Glencoe Massacre – the murder of several members of Clan MacDonald – happened in 1689. The story goes that three young women were among the handful of people that got away – hence the name. Standing at the bottom of the valley, with the mountains towering over you – it’s a real reminder of just where you stand in the universe. These are ancient mountains – they were here long before you were born and they’ll be here long after you’re gone. I think that’s part of the reason why hiking and walking – just being out in nature, period – are good for you. It’s not just for the exercise – it’s to help put things back in perspective. For balance, here’s a more humorous story involving mountains – we were told that recently, a group of university students had pushed a grand piano up Ben Nevis for a charity fundraiser. (What the fundraiser was for, I don’t remember.) And then they pushed the piano over the edge. In my mother’s view, it was a tragic waste of a perfectly good Steinway.